I have read quite a few Daisy James books now and have really enjoyed them all. Her books are like a breath of fresh air, which is perhaps very appropriate given the focus is on scents in this book. Gabbie is working in a prestigious perfume house in Grasse in the south of France when she is offered the chance of a lifetime: to work in the Paris labs for six months creating the season’s new fragrance. Now you might think that this would be a dream come true but not for Gabbie. She enjoys face to face interaction with people, creating fragrances for the individual. So she quits her job and goes back home to Devon. Back home living with her dad, she is horrified to find that the family business, the local garage, is in trouble and she is worried about her dad’s health too. Moving home brings back sad memories of her late mother especially of the time they spent in the summerhouse in their garden working on aromatherapy together. Gabbie’s mother loved flowers and perfume and used them to create an ambience. Theirs must have been the only garage to smell of roses or jasmine! Standards have slipped since her mother died – the garage is untidy, disorganised, unclean. There could be a distraction in the form of new mechanic Max and despite herself, Gabbie is very attracted to him. Max is a rather gorgeous young man who is not without his own past problems but has a heart of gold. Gabbie, though, is afraid to get close to someone as she is afraid to get hurt. We all know the certain smells can produce strong memories or feelings. At the moment the lilac trees are in full bloom filling the air with their heady scent. Every time I walk past one and breathe in the fragrance, I am immediately reminded of walking to school. There was a house round the corner which had several lilac trees and I always used to stop to smell them as I walked to and from school each day. It’s strange, as I obviously smell lilac trees every year yet this is the memory they evoke. The summer house in Gabbie’s garden was full of memories. 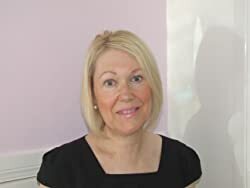 It was somewhere she and her mum worked together creating fragrances that helped her mum feel calm and relaxed while she was ill. They had fun making up what they thought would be perfect fragrances for celebrities and people they knew. This was her dream and why she quit her job rather than work in a sterile lab. Anyone will recognise the bittersweet memories that comes with grief and loss. Daisy James has written about this in such a poignant, touching way, capturing Gabbie’s feelings beautifully. 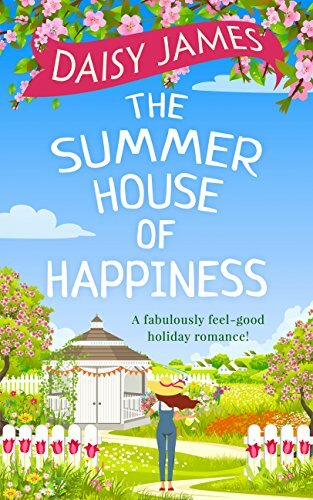 The Summer House of Happiness is a perfect summer read. Although tinged with sadness, it’s also a very uplifting story. As Gabbie discovers, life is about taking opportunities and chances, even if they aren’t what you planned or hoped for. If you follow your dreams and stay true to yourself, who knows what might happen? Daisy would love to hear from readers via her Facebook page or you can follow her on Twitter @daisyjamesbooks or on Instagram @booksdaisyjames.